Overclocking involves increasing the speed (otherwise known as frequency) of your system components, beyond the manufacturer's specifications. In a modern PC the three major components which are commonly overclocked by enthusiasts are the CPU, the graphics card and the memory (RAM). Traditionally the focus of overclocking has centred on the CPU. Caution: Overclocking can, in some cases, damage your PC's components. Proceed with caution. There are several reasons why enthusiasts like to overclock their CPUs. Why spend $500 on a top-of-the-line CPU when I can purchase the entry-level $100 CPU and then overclock it to the same speed as the $500 part? If I am a keen gamer, the $400 saved could be put towards the purchase of a high-end graphics card instead. Some overclockers like to take their components well beyond the speed of the manufacturer's fastest model. A great deal of satisfaction can be had from having a PC with a CPU running at 4.4Ghz when the fastest model available from the manufacturer runs at 3.3Ghz. It's a bit like performing aftermarket modifications to your car's engine to increase its horsepower beyond the factory specifications. I still fondly remember my old Celeron 600Mhz purchased late in the year 2000, which ran stably at 1080Mhz and formed the heart of my gaming PC at the time. When I first became involved in overclocking PCs over 15 years ago it was the kind of thing you didn't really talk about, except with other enthusiasts. Many so called 'industry experts' at the time had a very dim view of the concept of overclocking, and tended to lump overclockers into the same category as Satan worshippers and conspiracy theorists. These days, however, overclocking has become a mainstream activity and has inspired a multitude of informative websites and magazines. 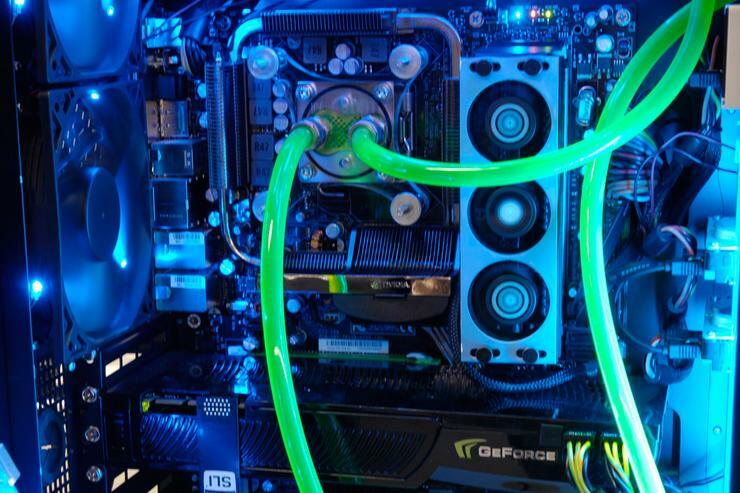 Many PC component manufacturers now sponsor international overclocking competitions and teams of expert overclockers strive to break records in a wide range of differing categories, sometimes using exotic techniques, such as supercooling components with liquid nitrogen. For example the fastest validated CPU frequency currently on the CPU-Z hall of fame board is an Intel Celeron 360 3.46GHz which reached the mind boggling speed of 8242.45Mhz! OK — so how do I overclock my PC? The principal ingredient in your overclocking success will be your motherboard. The motherboard in your PC connects all of the individual components including the CPU. The motherboard generates the final speed or frequency of the CPU by utilising a default system bus speed, and then applying a multiplication factor to it. For example the Intel Core i7 875K CPU in my own personal PC operates at a default frequency of 2.93GHz. This CPU has a multiplier of 22x, and runs on a default system bus speed of 133MHz, so 133MHz system bus multiplied by 22 = 2926 MHz ~ 2.93GHz. In the good old days we had the ability to alter the clock multiplier by changing jumper caps or dip switches on our motherboards. My old Pentium 166 ran at 2.5x 66.6MHz = 166MHz. It was very common and very easy to change the multiplier to 3x 66.6MHz = 200MHz, or if you were lucky and had a really good chip you could push it to 3.5x 66.6MHz = 233MHz. As time went on the adjustment of the multiplier and the bus speed was transferred straight into the motherboard BIOS, and it was no longer necessary to manipulate physical jumper caps or dip switches on the motherboard itself.